This document provides you the steps to turn off or cancel the Norton Automatic Renewal service for your product to prevent future automatic billing and renewal. You may need to follow these steps if you have got a new Norton product and need to cancel the service on a previous product which you no longer use. 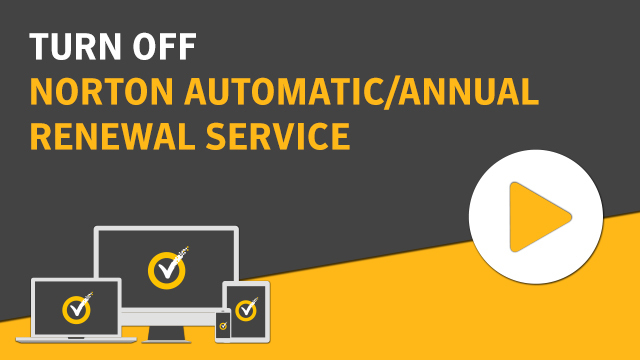 If you cancel the Automatic Renewal service on your current product, you must manually renew your subscription before it expires or risk losing your Norton Protection. If you have already been charged and want a refund, read Request a Norton Automatic Renewal refund. Your Norton product prompts you to manually renew the subscription when it expires next time.